For a change we decided to head down to Jac and the Bean in Fremantle for a late breakfast. When you arrive the first thing you notice is the big open outside area. The weather wasn’t great on the day we went so the photos really don’t do justice to how lovely it actually was. 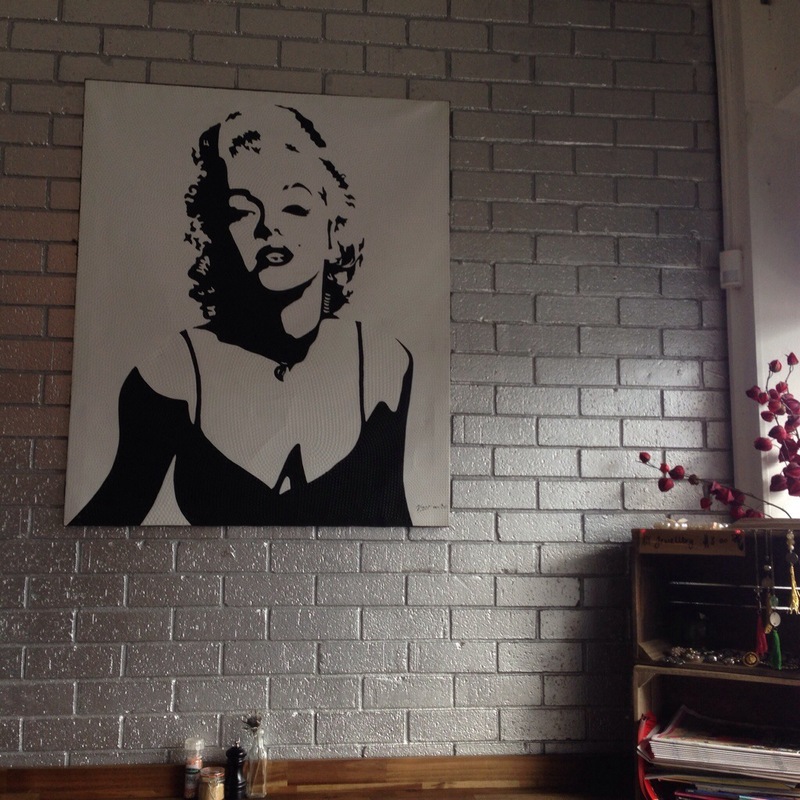 The cafe is smaller inside but it’s comfortable and just a little quirky. 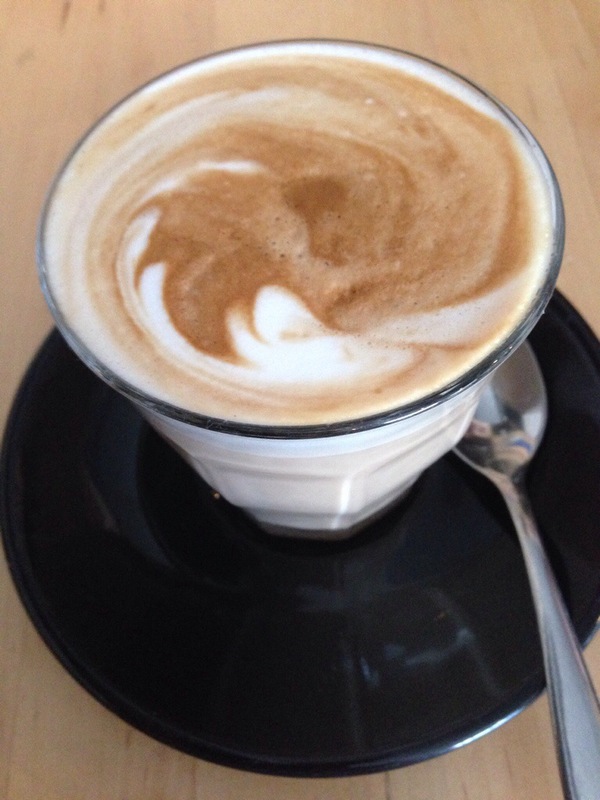 It’s one of those things we really love about Fremantle! 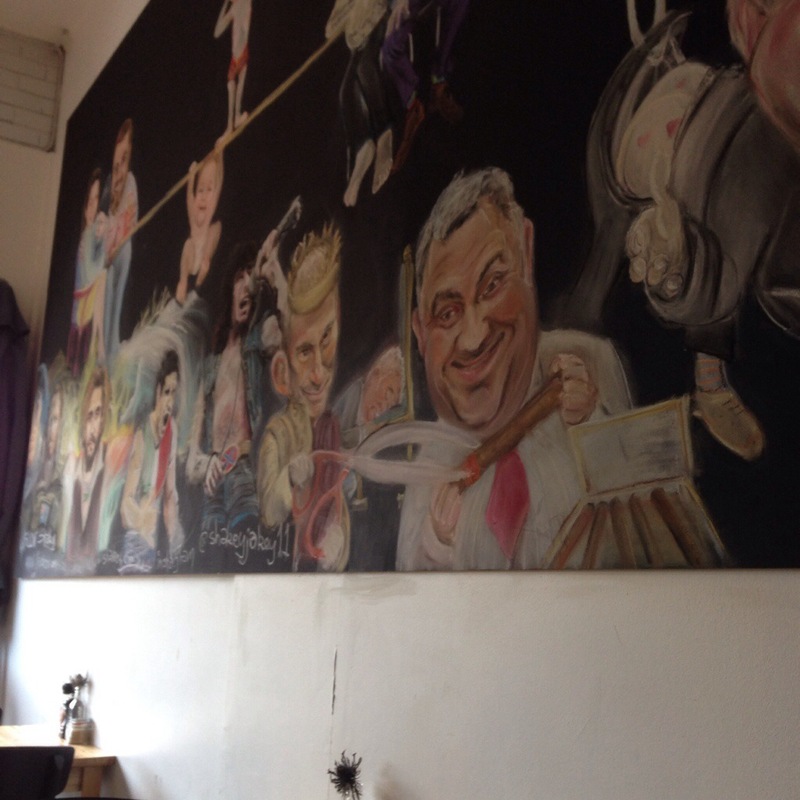 We selected a table in a cosy little corner where we could people watch and explore the art work all over the walls at our leisure. There’s a decent amount of choice on the menu with plenty of cheaper options on offer. You’ll need to place and pay for your order at the counter. We found the service to be really friendly and fairly prompt, especially considering that we added a few extra things later on that took our fancy! 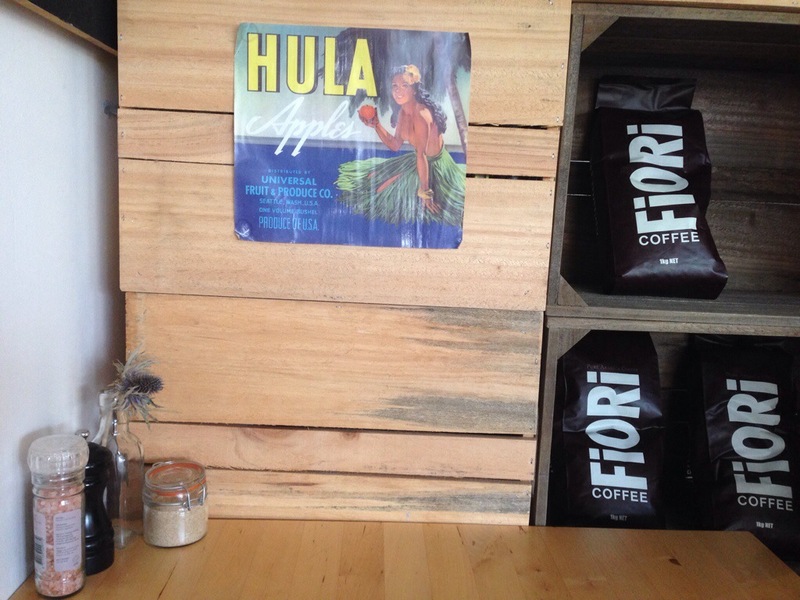 Our lattes were made with Fiori beans and had a really lovely flavour. They were served at a good temperature and were rich and creamy. It should be no surprise that we ordered a second! Unfortunately a different person made them this time and they really weren’t up to the standard of the first, just too hot and over extracted which was a real shame. 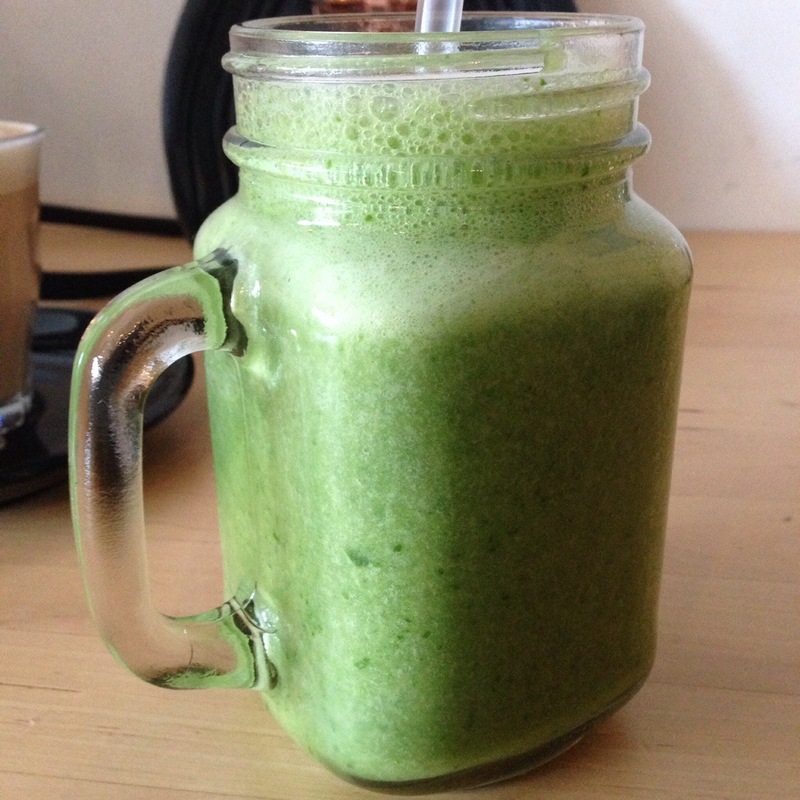 Jac and the Bean have a reputation for great smoothies, so we decided to give a green smoothie a try. It was served in a nice big mason jar with a handle, something we absolutely loved, but for $9 you do expect a big serving. It had a good flavour, and a nice light texture, plus it had such a mellow sweetness showing a balance between fruit and greenery. After enjoying the green smoothie so much we decided to go for another, this time the ‘nut job’. 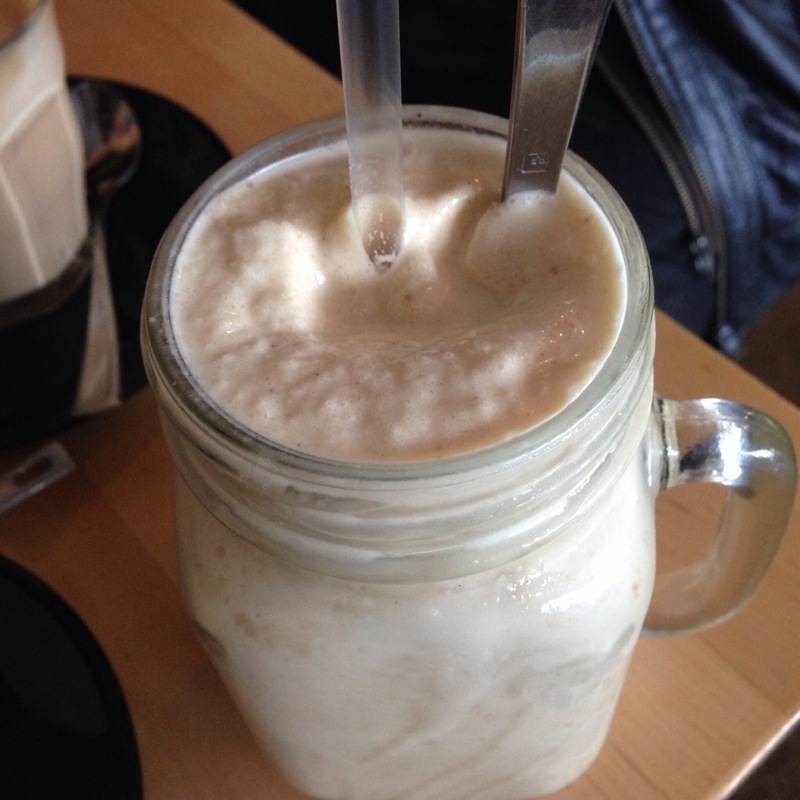 Its a full on mix of almond milk, honey, banana, peanut butter and natural protein (what makes it natural I wonder?). This was super filling, a bit icy, with a mostly peanutty flavour. $9.50 is a little steep but it was so full on it could’ve been a meal of itself. 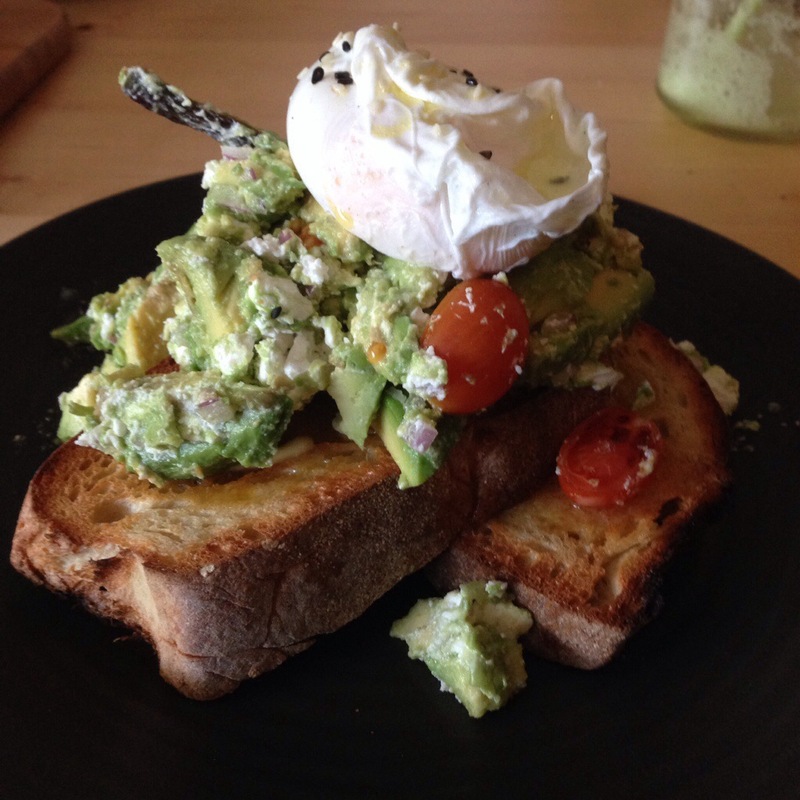 First up was the avocado smash with a poached egg added on for extra. The avocado had a nice hit of lemon, salty feta and a touch of onion. The bread was great, however the egg was too firm and a bit watery, we probably could have done without it. There was a little bit of avocado skin in the mix but not enough for us to see it as an issue. This was a solid and tasty dish that just needed a little improvement on execution. We also tried the Bircher museli for $12. 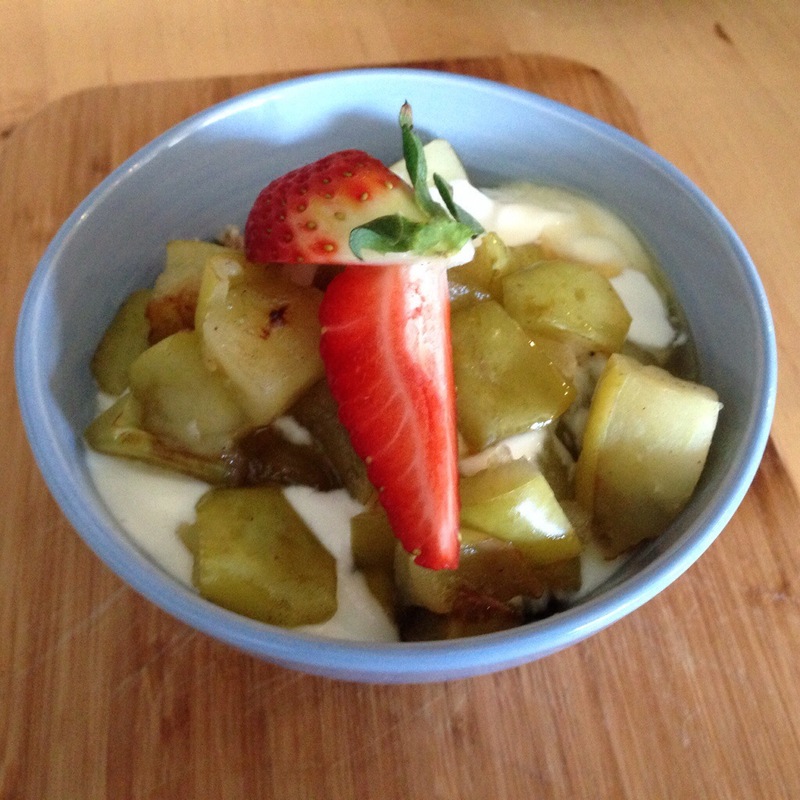 It was a really different mix of hot cinnamon stewed apple on top over the cool yogurt and museli. There were lots of nuts and seed throughout, making each bite very textural. This was a comfortably filling and interesting dish. 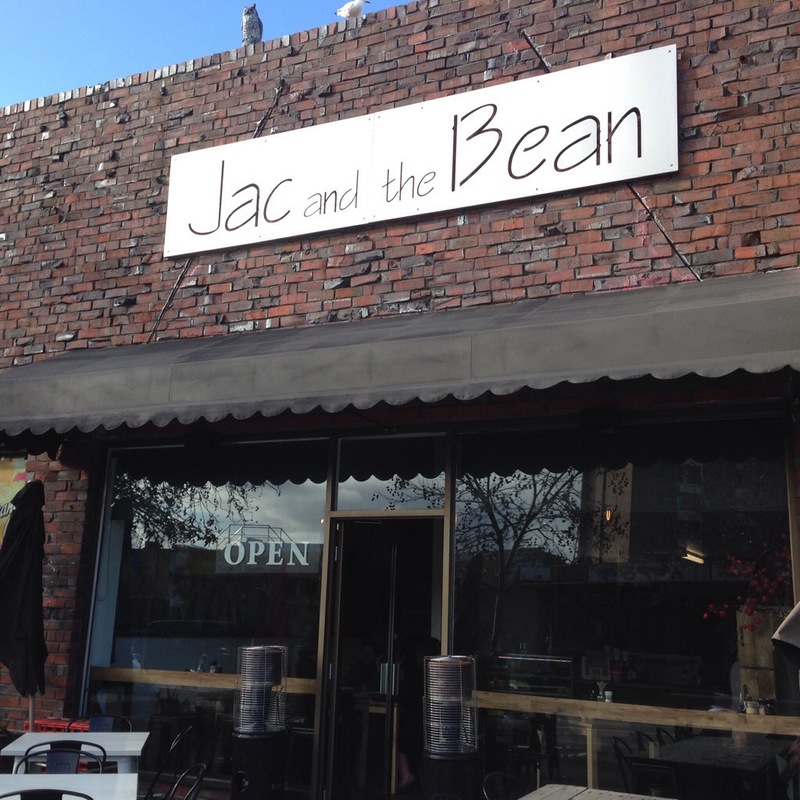 Jac and the Bean is a nice little spot with a great selection of smoothies and a wonderful outside dining area. It’s worth checking out if you’re in the area!